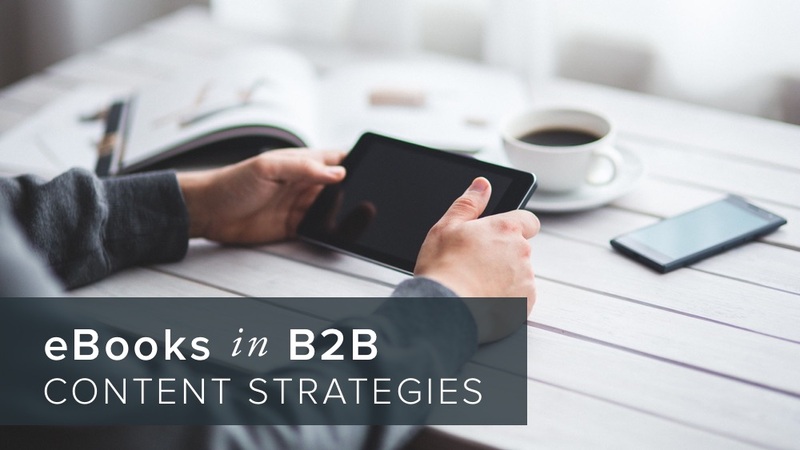 When developing your content marketing strategy, you should consider including eBooks. eBooks are a unique opportunity to offer long form content about your subject matter expertise. Of all the varieties of long form content including videos, press kits, and white papers, eBooks are the least expensive to produce and publish. The cost of an eBook essentially boils down to the labor used to create and promote the material (The Write Life). With such low overhead compared to other marketing tactics, it’s a low risk strategy. Plus, the low cost also means there’s potential for a very high ROI. To write an eBook, you need to have specific subject matter expertise. This subject matter expertise gives your brand a lot of credibility especially when marketing to other businesses. In industries where knowledge has a high capital, sharing that expertise with your audience can help establish your brand as a thought leader in the subject and businesses will trust that you have the leadership and knowledge they need. eBooks are offered on a variety of platforms, so they can be easily distributed. You can offer them as downloads on your website, in online bookstores like Amazon or Barnes and Nobles, or email them to interested customers. So they can be easily delivered to whoever your intended audience is without extra cost or hassle. These are just some of the benefits of producing an eBook as part of your B2B content management strategy. If you’d like to learn more about the benefits or are just ready to get started producing your own eBook, talk to the experts at ALHAUS. We have helped several businesses reach customers through eBooks and can help you take your eBook idea to publication. So contact us today to see how we can tailor an eBooks solution for your business.